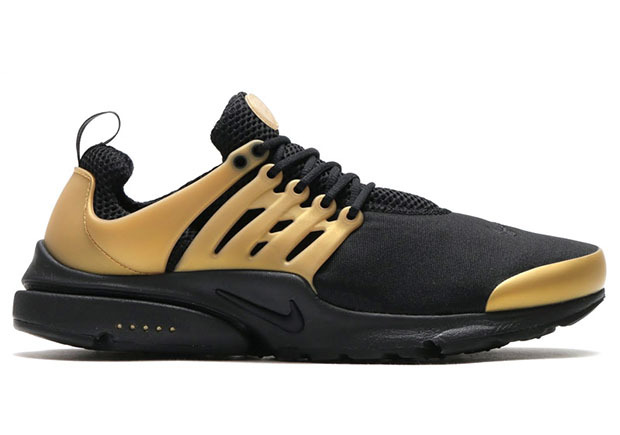 Nike Sportswear continues to take some of their most popular models, this time the Air Presto and Air Max 90, and dresses them in a clean black and gold colorway. 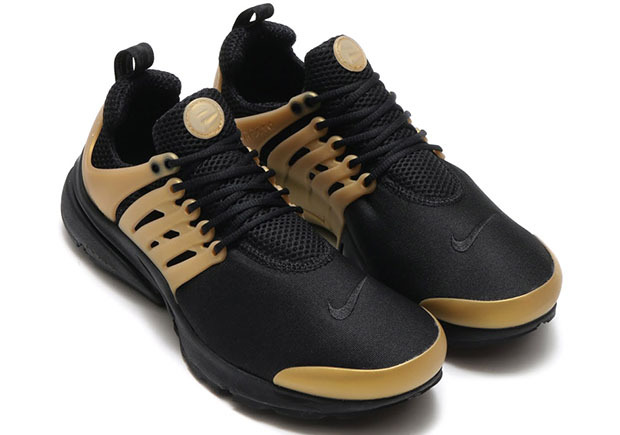 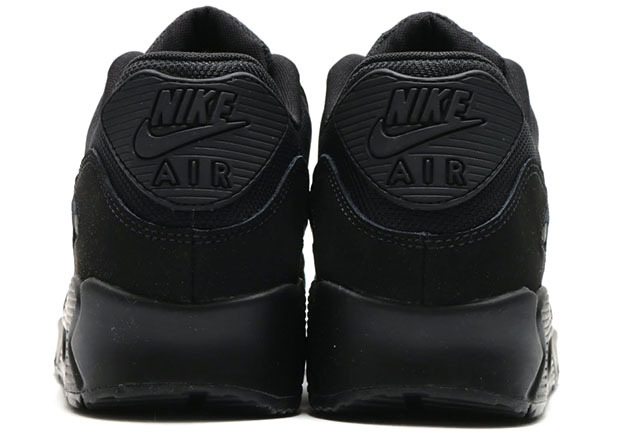 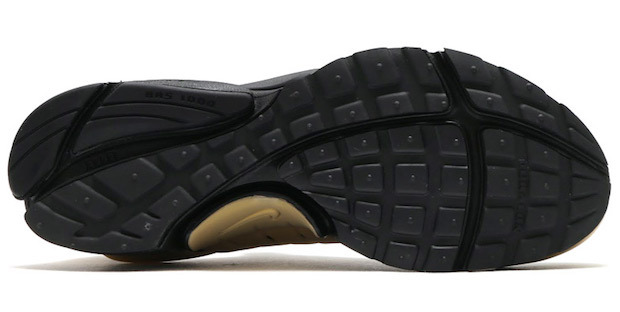 The colorways are basic triple black versions with gold accents to round out the look. 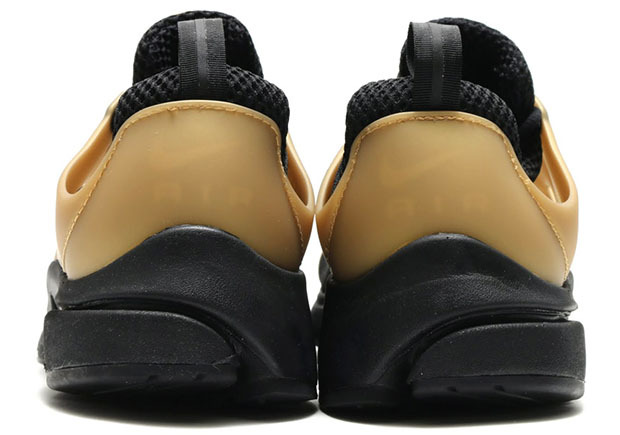 On the Air Presto, the ‘cage’, heeltab, tongue branding, and toecap are all in a buttery gold. 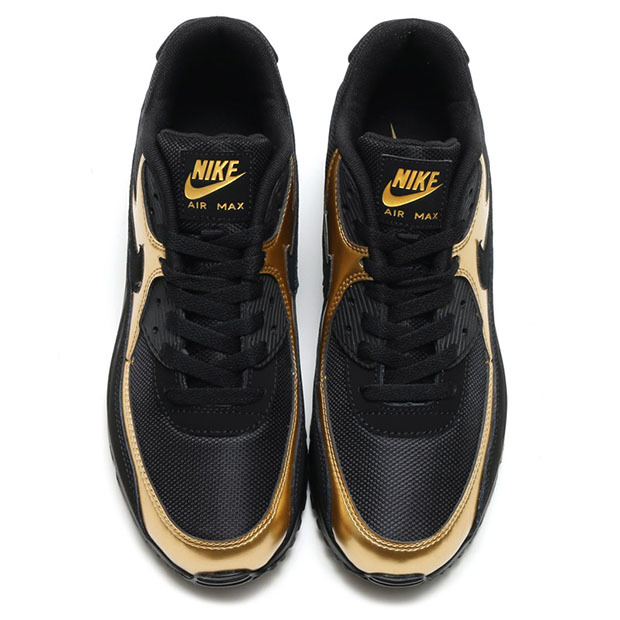 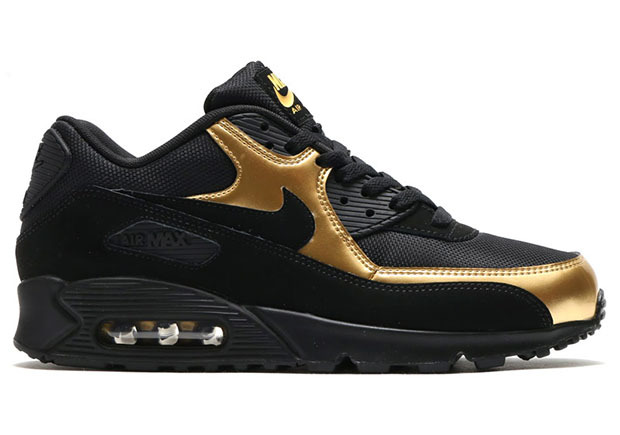 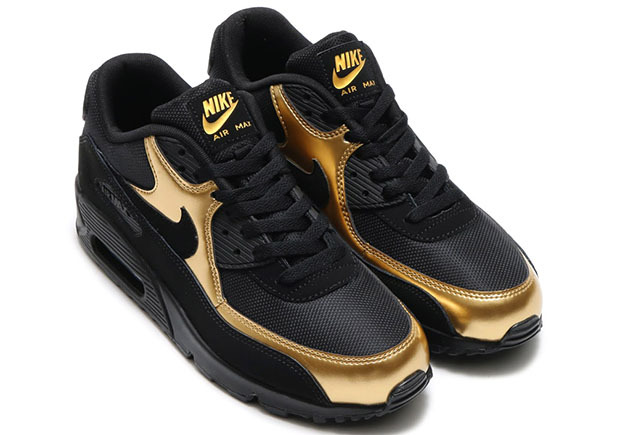 The Air Max 90 has a section of gold on the upper that goes around the Swoosh to the toe, paired with tongue branding in gold as well. 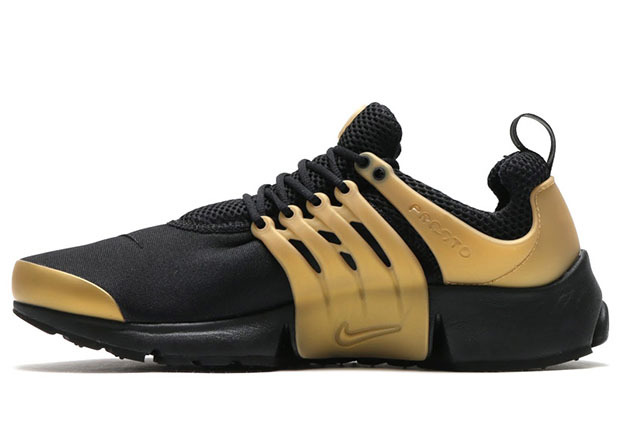 Release date information has yet to surface, however, you can expect these to hit select Nike Sportswear retailers soon, as fall approaches. 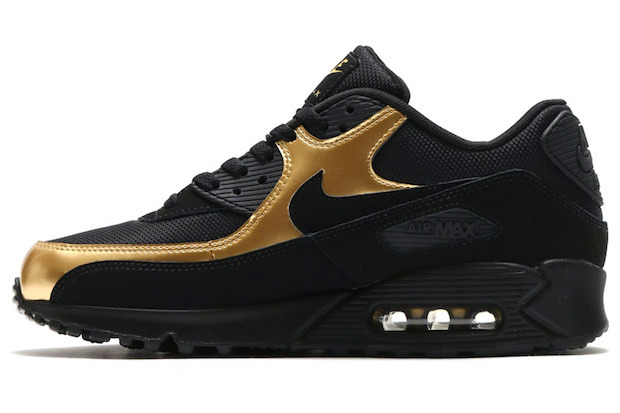 Will you be going for either of these gilded pairs of kicks? 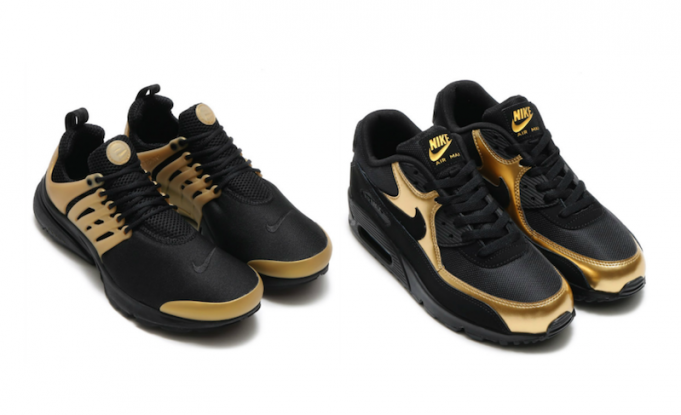 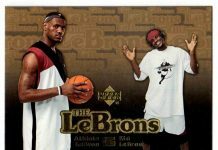 Let us know which one you are going for and like more by tweeting @ModernNotoriety.